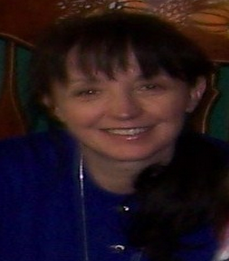 This week I am hosting some guest bloggers. This is a guest post from Mary Kate O'Meara. If you have been searching for an online collaboration tool that is versatile and easy to use, then Twiddla may be what you are looking for. Twiddla is a real-time collaboration whiteboard that allows an unlimited number of people to come together at one time to share or edit documents, images or websites. One of the things I like about Twiddla is a simplicity that makes collaboration a breeze. 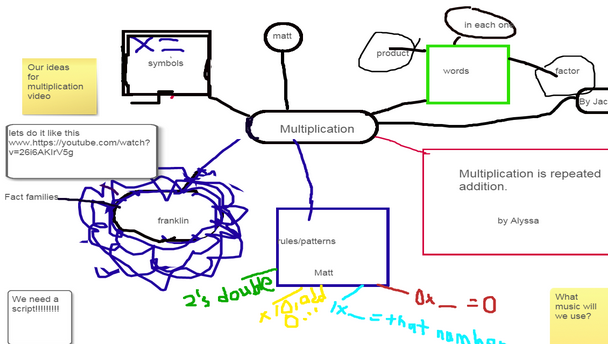 It’s so user friendly that my first, second and third grade students often use it throughout the day. This is one of the most hassle-free digital tools I have run across with its agnostic browser (Twiddla works with any browser- Firefox, Chrome, Internet Explorer on both Mac and PC), no plug-ins or downloads, and no firewalls to work around. Starting a meeting is as simple as going to twiddla.com and clicking on the green GO button. Invite others to join your session by sharing the collaboration url through the built in email. Simply by clicking on the shared url everyone joins the session. You can enter a session as many times as you like with no restrictions on time. Best of all, Twiddla is free. There is no requirement to sign up for a paid subscription to create a meeting. If you are a teacher or a student Twiddla will provide you a free pro-account. Sign up for a free trial, then send them an email from a .edu or comparable address. Be sure to include your username. If you just want to check out the features Twiddla offers join a public session and play in their sandbox. I was thrilled to find that Twiddla is not only user friendly, it also has more capabilities than typical online whiteboards. While Twiddla allows you to use the pen or shape template to write or draw on the plain white board, or on grid overlays, it also has the ability to upload documents (Word, Excel, Powerpoint, PDF), Web pages, Ethernet documents and images. These become a collaborative canvas that can be marked up by highlighting, adding sticky notes, or inline text. My students capture their work with a snapshot of their Twiddla session and export the snapshot as an image which can be reloaded in another session for further tweaking. Saved images also allow them to keep track of work that is completed in each meeting and I can monitor group progress. The most important feature of Twiddla is that it encourages creativity and collaboration. I’ve used Twiddla across the curriculum for everything from introducing my class to new websites by highlighting key features then saving those images as a visual guide for the site to exploring the features of landforms and maps, then uploading those sessions in a Google Doc as a study guide. Twiddla has also come in handy during reading mini lessons to annotate text, highlighting details that identify main idea or in character analysis. I have even saved our Twiddled Chalk Talk thinking routines to evaluate class thinking over time. My little ones have become great collaborators, initiating their own Twiddla sessions to create concept maps for projects, outline ideas for writing, or construct graphs for math and diagrams for science. Twiddla has also allowed them to extend their learning beyond the classroom. 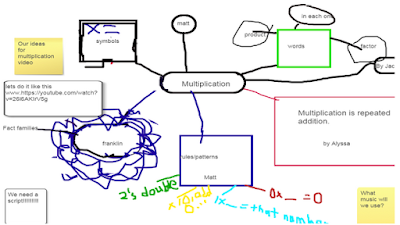 Some of my students have created Twiddla meetings at home for planning a shared project or explaining math problems to friends who don’t understand a concept. Twiddla is one of my favorite tools because it allows students to build on each others ideas and deepen their learning. I am a teacher for the Grosse Pointe Public Schools in Grosse Pointe, Michigan. I have a multiage class of first through third grade students. I have written for ASCD, and been a presenter for The University of Virginia’s Summer Institute on Academic Diversity, presented at The Michigan Reading Association Annual Conference, been a lead presenter for the Virtual 4 T Conference hosted by The University of Michigan’s School of Education and School of Innovation, and I will be presenting at The Institute for Innovation in Education gathering in Ann Arbor, in June.